Ever wanted to stand in a rain shower of LEGO, or plunge yourself into a ‘swimming pool’ of blue LEGO bricks? 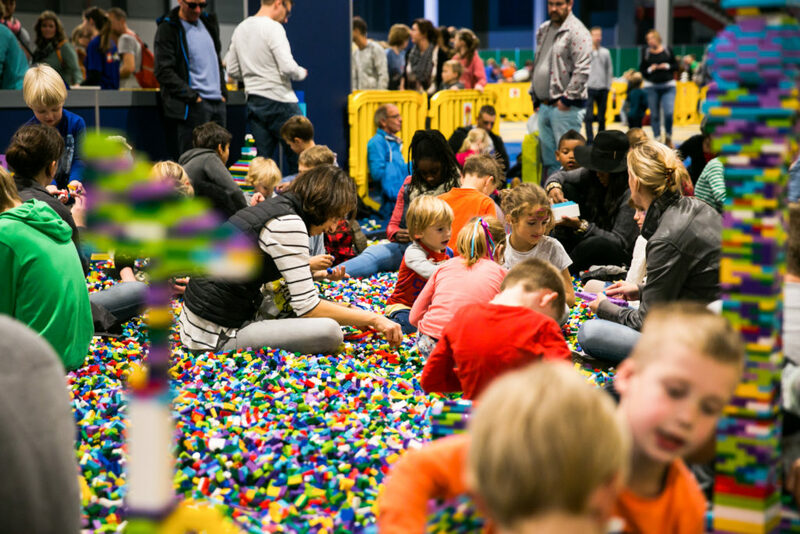 For all LEGO fans, the biggest event of the year (and, in fact, the biggest LEGO event in the world) is coming up: LEGO World NL in Utrecht. Lego World is the world’s largest Lego event, and it happens in Utrecht every year. The 2016 edition is happening from 18-24 October, during the fall school holidays (herfstvakantie). We advise getting your tickets ahead of time, as they frequently sell out and they’re cheaper online. We’ve also been told to go early, as later trains to Utrecht are packed with LEGO lovers from all over the Netherlands. We’ll be back with more tips, after we’ve had a chance to check it out in person!